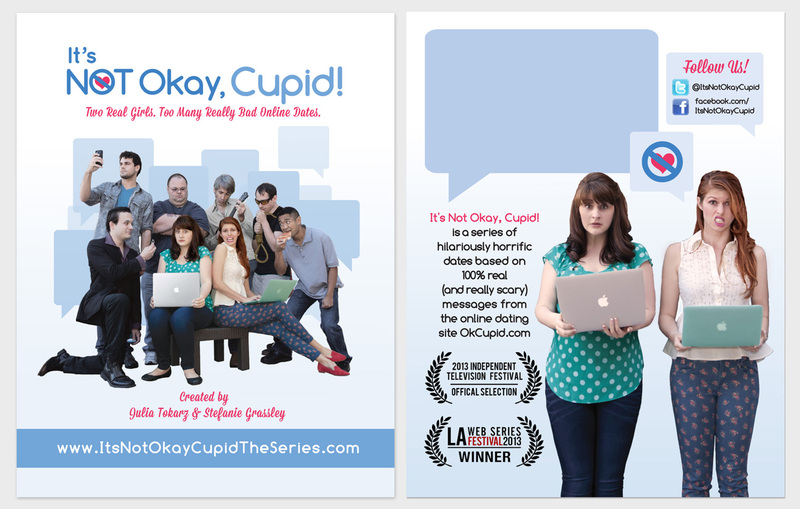 Several months ago I was hired to create a logo and some promotional materials for the web series “It’s Not Okay, Cupid!” Each episode is based on a real life message received from a real life creep on the online dating site OKCupid.com. 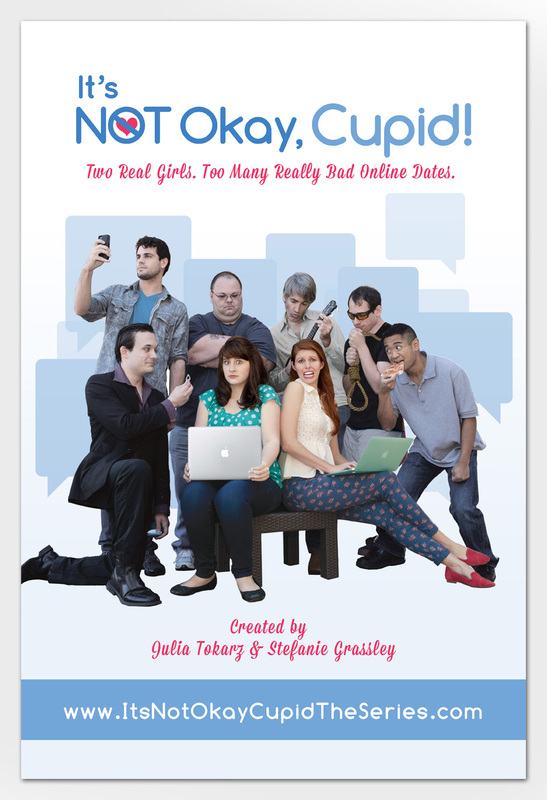 The series is written by/created by/stars Stefanie Grassley and Julia Tokarz – 2 seriously talented ladies whom I loved working with to create these items. 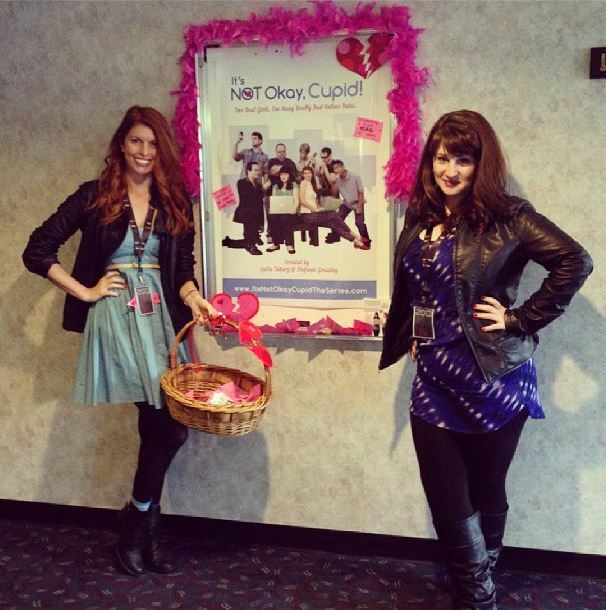 When the series was accepted into the Independent Television Festival, Stefanie and Julia decided they needed some materials to help promote their screenings. The ladies provided me with some great photographs which I used to create a poster and post card. 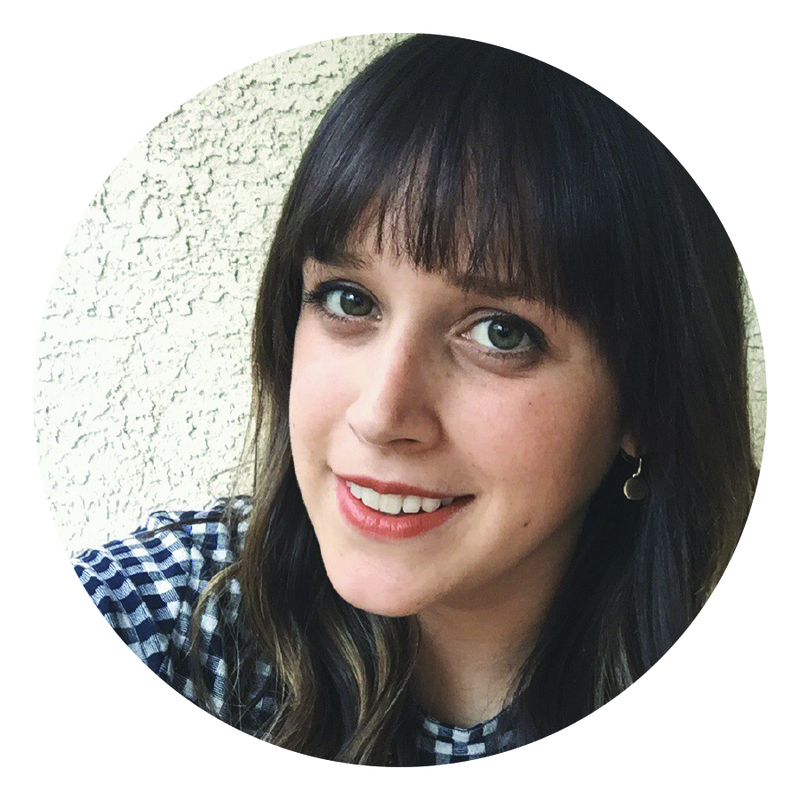 Julia and Stefanie wanted a design that was girly, fun, and bold. I used similar colors as the OKCupid website to draw a relation between the site and the series and repeated the “talk bubble” graphic to illustrate the girls being inundated with messages from all manner of weirdos. The postcard design was really similar but with a little more information. The blank talk bubble on the back was left as a space for the girls to write in specific information about screening times or other text depending on the event. Here’s Julia and Stef with one of the posters at the festival.